After a day of visiting Bayon Temple, Angkor Wat and Phnom Bakheng, we were tired. Jam, his friend and I returned to our hotel for a shower before going out again for dinner. We walked around at Pub Street and found it to be quite happening at night. 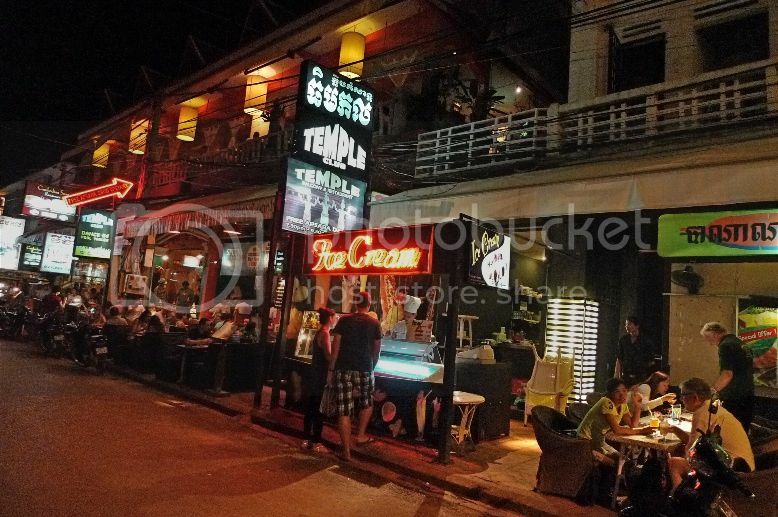 This is Temple Club Balcony and Restaurant where we would be having our dinner the following night. The restaurant provides free Apsara Dance performances which is one reason we went there. 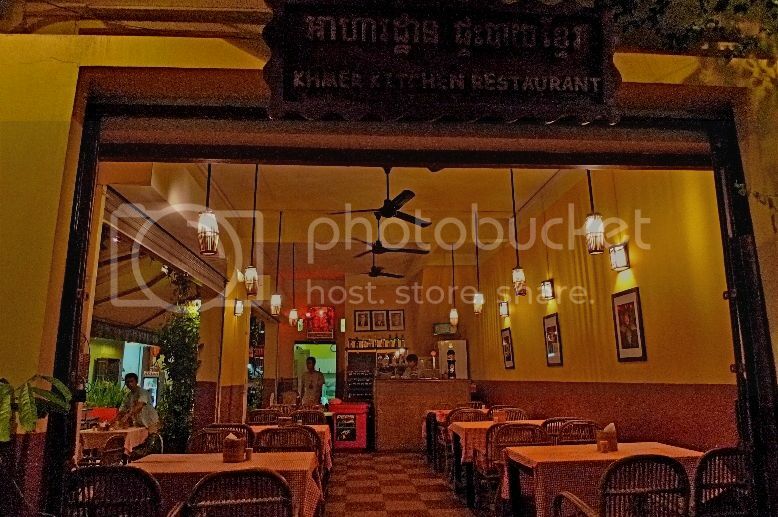 After walking around, we settled for Khmer Kitchen Restaurant located at Pub Street Alley. 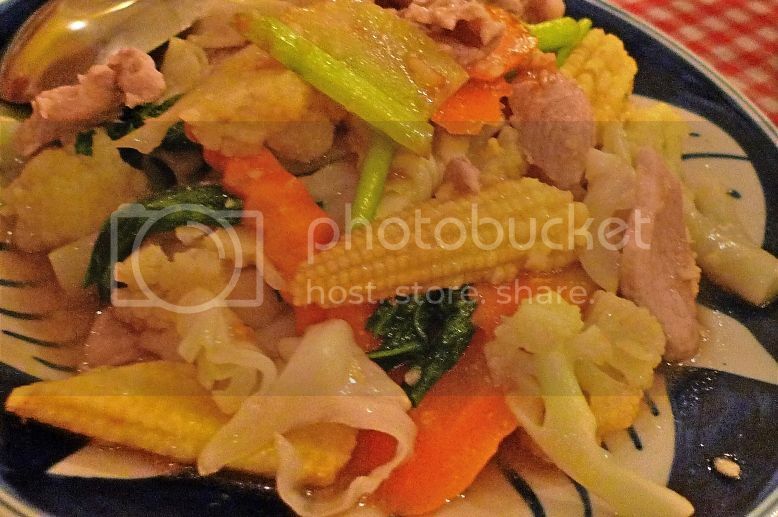 I have to tell you that I really love the Cambodian food at this restaurant! 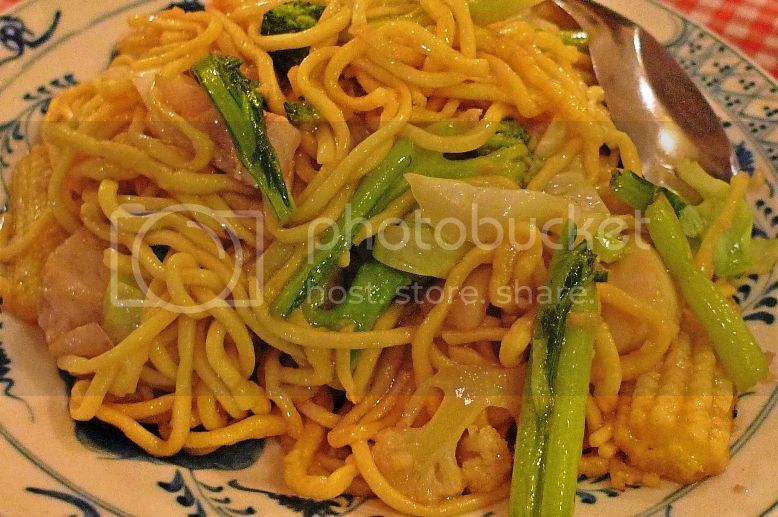 Due to the dim lighting, my photos did not turn out well, so please do not judge the food from my photos. To me, the food were awesome! 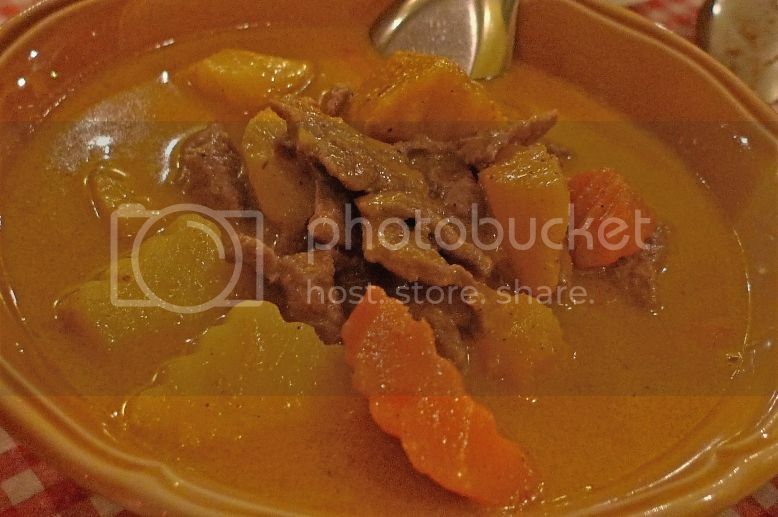 We had Khmer curry. This curry was not at all spicy and it was very tasty! 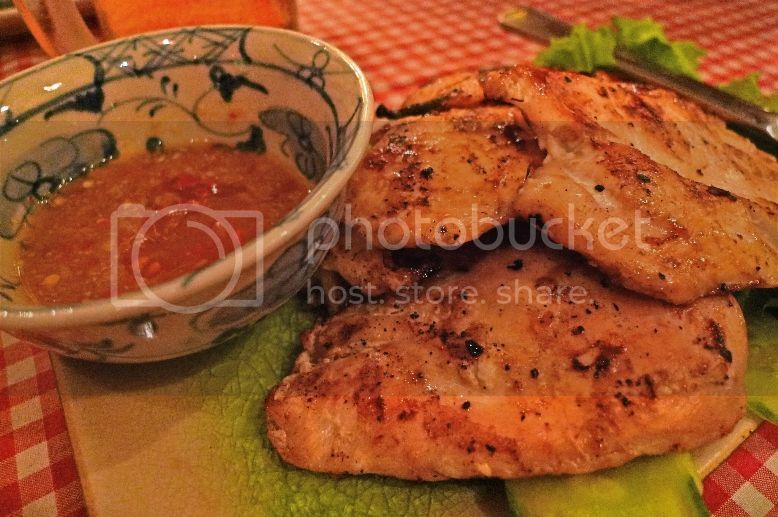 Barbecued chicken with the yummy sauce! 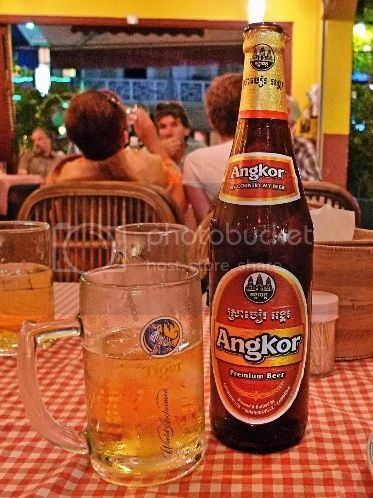 We decided to enjoy some beer and instead of choosing well known international brands like Tiger Beer or Heineken, we chose Cambodia's very own Angkor Beer. It was excellent! The service here was good and the staff friendly. The ambience was not bad too. Our bill came to USD18, which was quite reasonable to me. 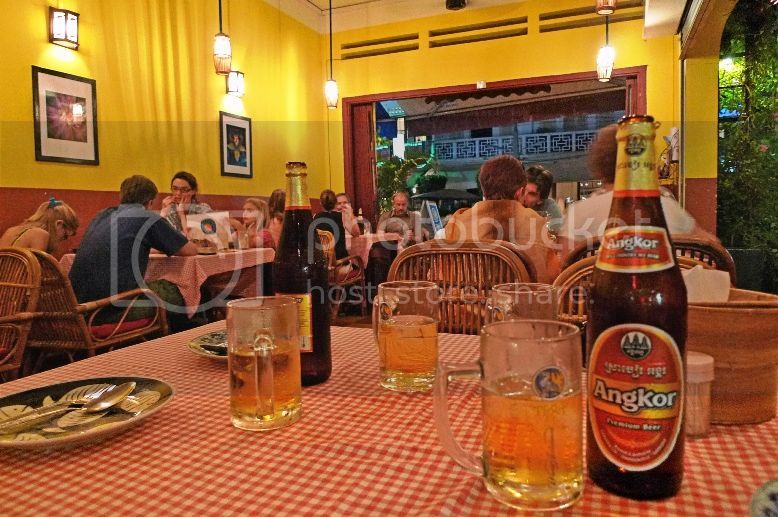 We liked the food here so much we actually returned here for lunch during our last day in Siem Reap. 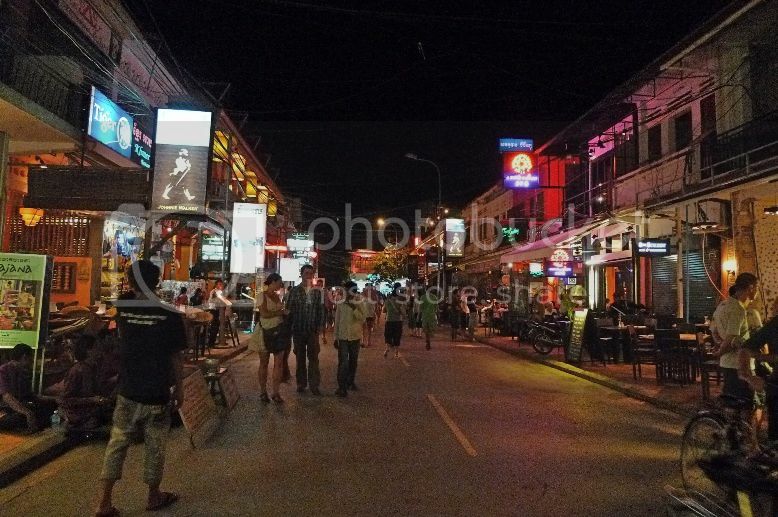 After dinner, we walked around to enjoy the Siem Reap's night life for a while before going for a massage. Oh yes, after walking the temples during the day, a massage at night is a must to soothe our tired muscles! Guess what? I could not believe my eyes when I saw that a full body massage would cost just USD6 per hour! Wow!! That's like dirt cheap, if you ask me!